The genus Zingiber is distributed from India to the Pacific but only a few species are known from east of Wallace’s Line, where we discovered this new species that was published on 20 November 2017 in Gardens’ Bulletin Singapore 69(2): 189–199. This story is an example of a sterile plant collected in the wild that flowered in a botanical garden a few years later. This enabled documentation of the floral and pollen morphology that allowed us to describe the species. 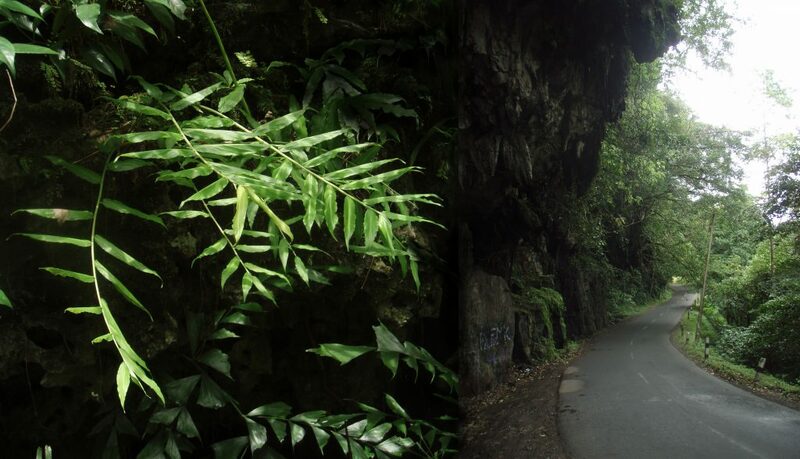 In 2009, Dr Marlina Ardiyani from Herbarium Bogoriense, Indonesian Institute of Sciences, and I visited the limestone area at Bantimurung National Park, South Sulawesi. A curious ginger arching from the limestone boulders caught my attention as it resembled Globba franciscii that I had seen on limestone cliffs at Mulu NP in Sarawak, Borneo. This would be a remarkable discovery, as only one species of this genus is found east of Wallace’s Line. 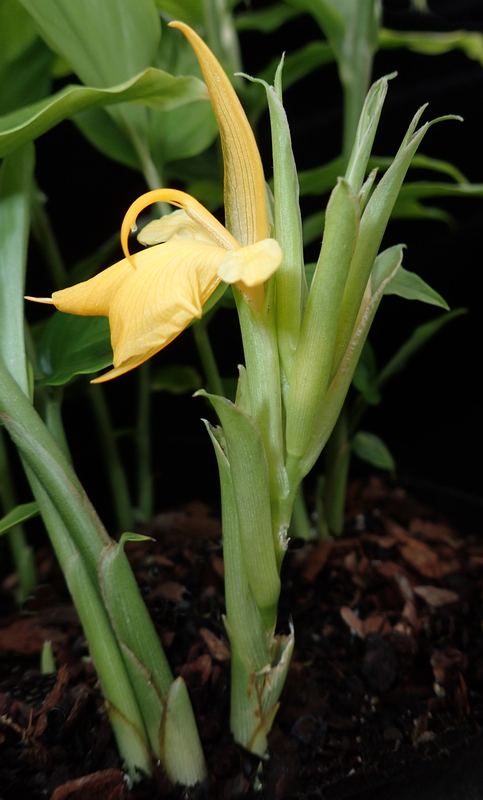 When one of the collected plants flowered at the Royal Botanic Garden in 2013, it was obviously not a Globba but a species of the genus Zingiber which is equally unusual in its location in Wallacea. Dr Mark Newman, esteemed gingerologist at RBGE, secured a voucher for the herbarium including flowers preserved in Copenhagen Solution. After confirming the morphology did not match any known species, we chose the epithet, ultralimitale, to indicate that it had crossed the line. 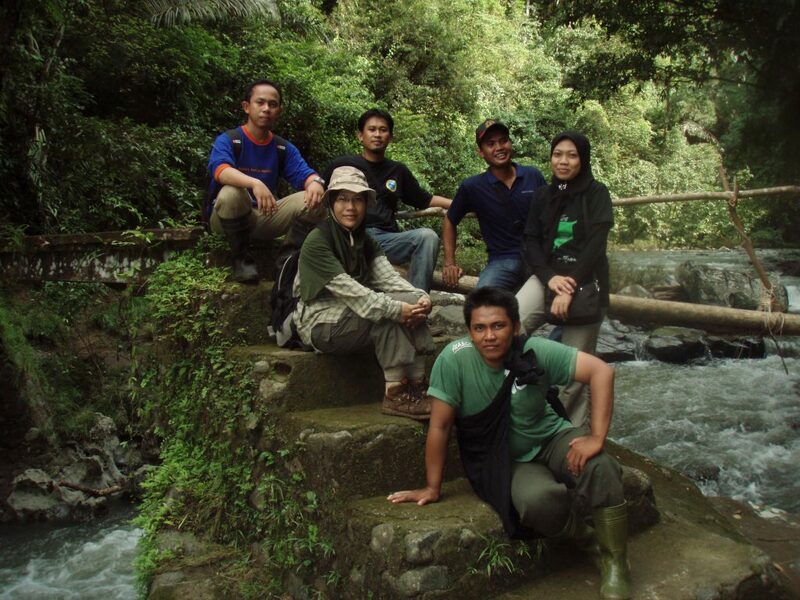 Field assistant Firdaus and Dr Marlina Ardiyani from Herbarium Bogoriense, Indonesian Institute of Sciences, with staff and students from Bantimurung National Park, Sulawesi, January 2009. A sterile plant of Zingiber ultralimitale on the limestone boulders in Bantimuring N.P. The leaves of Zingiber ultralimitale are deciduous and for some months of the year, no trace of the plant is seen above ground. The advantage of cultivating it in the glass houses at RBGE was that we could make elaborate dissections of the flowers and for Zou Pu to take SEM images of the pollen using critical point drying techniques and the SEM facilities at RBGE. 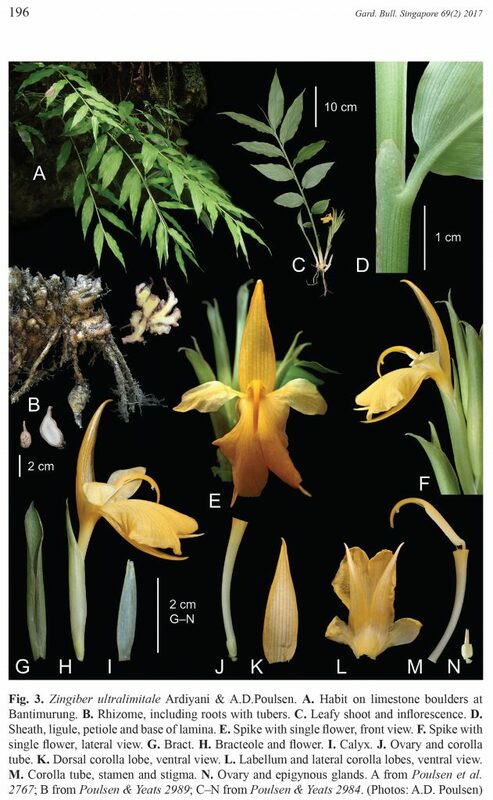 Placement of this species using morphological evidence is ambiguous but a combination of evidence from morphology, pollen anatomy and molecular analysis indicates that it belongs to Zingiber sect. Zingiber. All images of the plate with the original description, apart from the habit shot at the top left, were taken of the cultivated material at the Royal Botanic Garden Edinburgh. Indeed, Rob; this would not have happened without multiple interaction between people and institutions, internationally and within The Botanics and funding from numerous sources!